Binding off – at some point, our project has to come to an end. 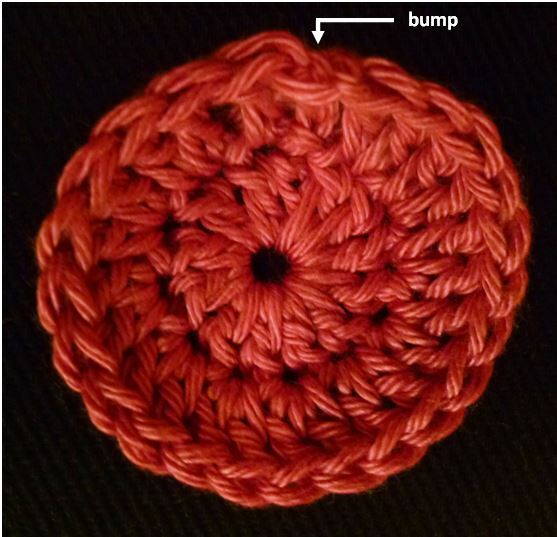 For most crochet projects worked in the round, the last instruction will read something along the lines of “join your last stitch with your first stitch using a slip stitch, cut a tail x inches/centimeters long, fasten off, and weave in the tail.” However, this method of binding off leaves a stitch that looks like a bump – it’s an eye sore and takes away from the beauty of your project. So in this post, I’ll show you a neat crochet trick I learned to create a bind-off that is seamless. I first learned of the invisible bind-off thanks to Stitch-Story. I am a proud convert and I have never gone back to the “bump” method. The invisible stitch isn’t really invisible as much as it is a concealer; in essence, it recreates a crochet stitch and makes it difficult to spot where the bind-off took place. Again, this way of binding off is perfect for works done in the round – granny squares, doilies, and hats, just to name a few. 1. Once you’ve completed your final stitch, cut a tail about six inches long. Do not pull the yarn through. 2. Insert your hook into the back loop of your first stitch. The back loop is sitting on top of pink yarn. 3. Yarn over and pull the entire tail through your stitch. 4. 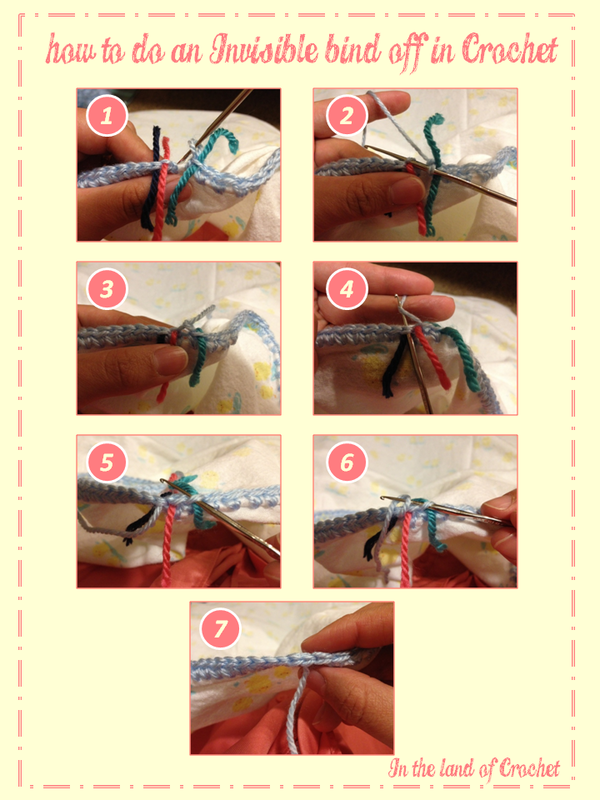 Insert your hook through both loops of your second stitch. Both loops are sitting on top of the dark blue yarn. Yarn over and pull the entire tail through your stitch. 5. Insert your hook into the front loop of your last stitch. The front loop is sitting on top of the teal yarn. 6. Yarn over and pull the tail through the stitch. 7. Voila! An “invisible” stitch. Be sure to weave the tail into your project for a truly seamless look. Try this method on your next in-the-round project and be sure to let me know if you become a convert like me.